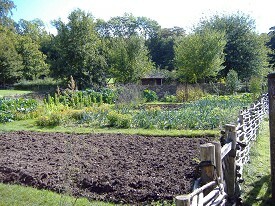 Bayleaf Farmstead Garden. 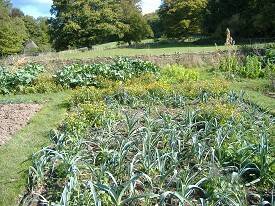 Prepared beds for rotation of crops. Bayleaf Garden. 'Companion' flowers growing amongst the leeks, onion and 'worts'. 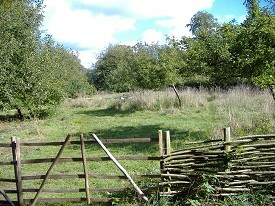 The Orchard. Apple, pear and medlar trees. good, wher did you get de foto's from?